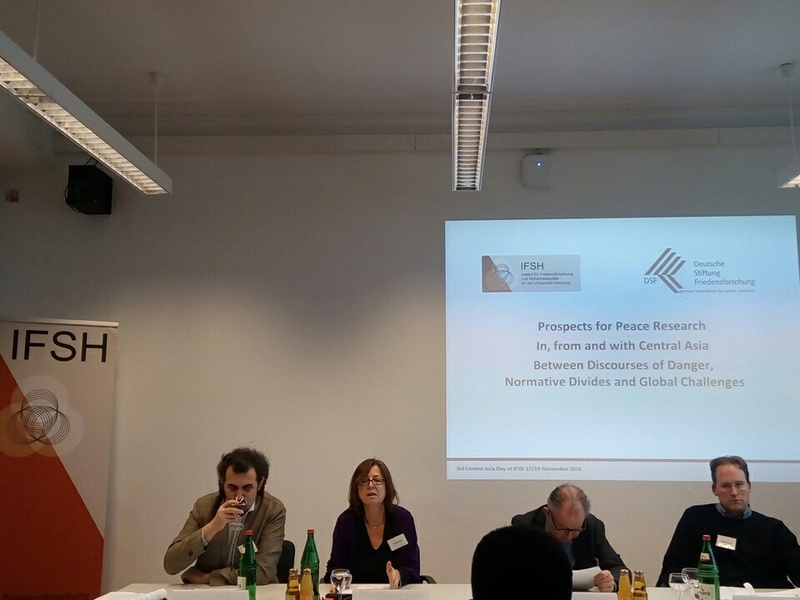 About three weeks ago, I had the opportunity to visit Hamburg and attend the third annual conference at the Institute for Peace Research and Security Policy, The conference, which was organized by the University of Hamburg (IFSH) focused on the prospects for peace research in Central Asia, taking an intermediary approach named ‘Between Discourses of Danger, Normative Divides and Global Challenges’. 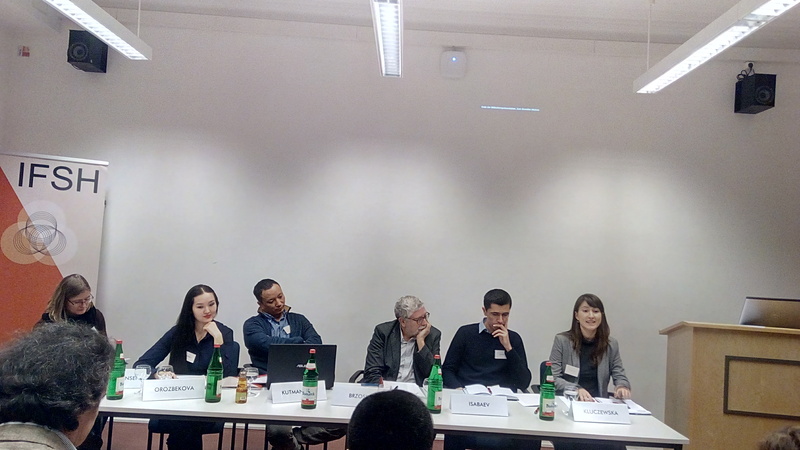 How is peace research perceived among Central Asian scholars? What are the strengths and deficits in the current discourses on Central Asia with respect to peace? What are the perceptions and differences between European and Central Asian scholars? 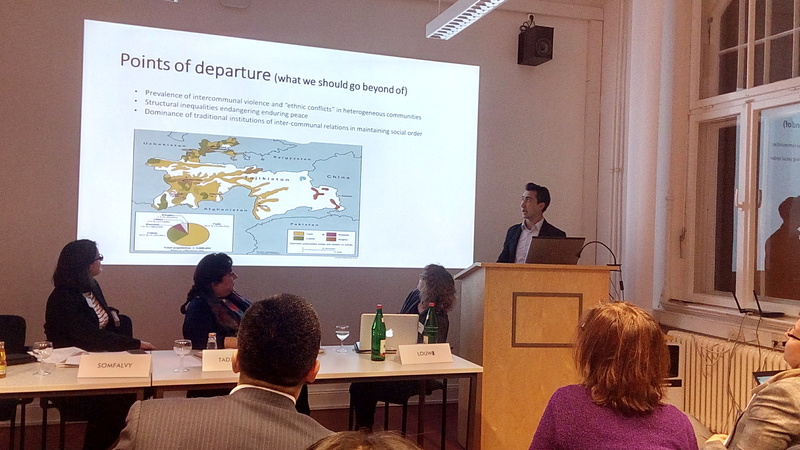 What can we learn about prospects of peace research in and from Central Asia? At this planned international conference, researchers from five European and four Central Asian states searched together for prospects of peace research in and from Central Asia. In post-Soviet Central Asia, the preconditions for this field of research are mixed. While there is no shortage of studies on conflicts, security and stability in and with Central Asia, the underlying concepts, the state of research and its dissemination are predominantly Western dominated and often securitized. Genuine Western peace research concepts are poorly received in Central Asia as they are confronted with political, normative and cultural barriers and different understandings of peace. Researchers from the region have often used the theories and tools of traditional security studies when studying conflict issues. They have only begun to develop region-specific approaches with peace research perspectives rooted in their living conditions, political and academic cultures. Thus, the state of research on peace in Central Asia appears both unbalanced and limited. The theme and the concept of the conference were both relevant and highly innovative. In view of contemporary power and normative shifts in Eurasia, the planned joint search for prospects of peace research in, from and with Central Asia can help prevent alienation between scholars from the two regions. The approach is innovative as it will take a fresh look at different concepts of peace and relate them to current discourses. The aim was not to fill the broad research gaps, but to get inspired, and to learn from each other and to open up new horizons for both sides. Among the panelists were several well-known international and local experts and respected academic members from European and Central Asian Universities with international publication records, such as Dr. John Heathershaw, Associate Professor at the University of Exeter, Prof. Rustam Burnashev, Head of Social Science Department at the German-Kazakh University in Almaty, Dr. Parviz Mullojonov, Board Chairman at the Open Society Institute (OSI) brunch in Tajikistan and senior advisor for the International Alert Office in Tajikistan, and many others. The speakers and the participants shared their views about Central Asia and their concerns about the difficulty of conducting research and implementing projects in the region. designing of situation characterized as ‘security as silence’. He also noted the fact that with increasing limitations on personal and social space as well as public policy discourse, some special interest groups lose “the right to speak” in the region. He also noted that a very popular and important topic – especially for Kazakhstan – is that of religious identification. We need to study more widely this topic together said Prof. Burnashev. 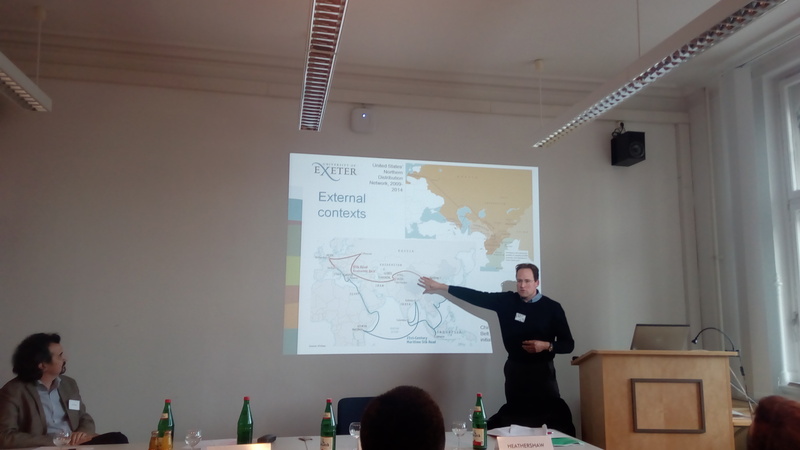 Dr. John Heathershaw presented early findings of his and his team’s research from an Economic and Social Research Council (ESRC)-funded project focusing on “Rising Powers and Conflict Management in Central Asia” and more specific on how armed conflicts are managed in Central Asia. During the course of the two-day international conference the panelists elaborated on what are the most attractive topics and the main problems in conducting research in the region. Prof. Irina Chernykh, chief research fellow at the Kazakh Institute for Strategic Studies under the President (KISI) in Astana, pointed that stability is the keystone of security studies in Kazakhstan and that research focuses on maintaining stability which is equivalent to regime stability. Others like Dr. Shahrbanou Tadjbaksh, Lecturer in Human Security, Institut d’Etudes Politiques (Sciences Po), identified some of the main problems – free space is shrinking, NGO numbers are reducing, sensitivity in terms of projects and conferences on behalf of the authorities, more and more Central Asian students are going to China for studies – and questioned why we do not have projects funded by the Central Asia Governments while recommending that Western authors must be translated in the local languages as well, not only in Russian. 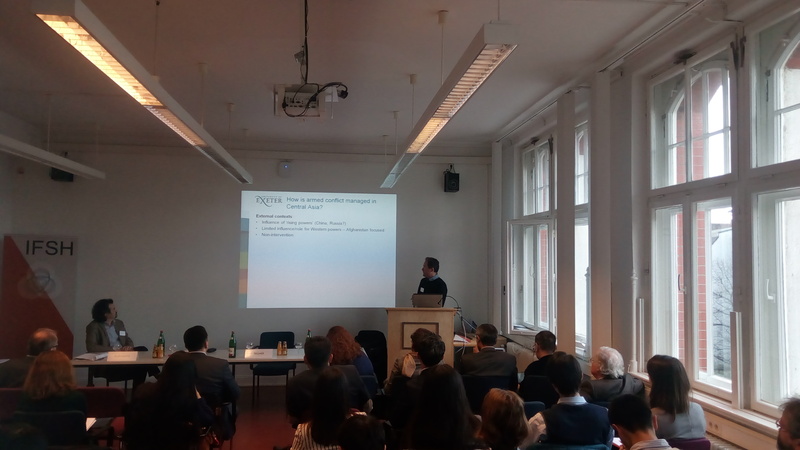 Among the various PhD presentations it is worth mentioning the case of Mr. Khushbakht Hojiev, PhD Fellow at the Centre for Development Research in the University of Bonn, who tried to frame “everyday peace” in Northern Tajikistan. 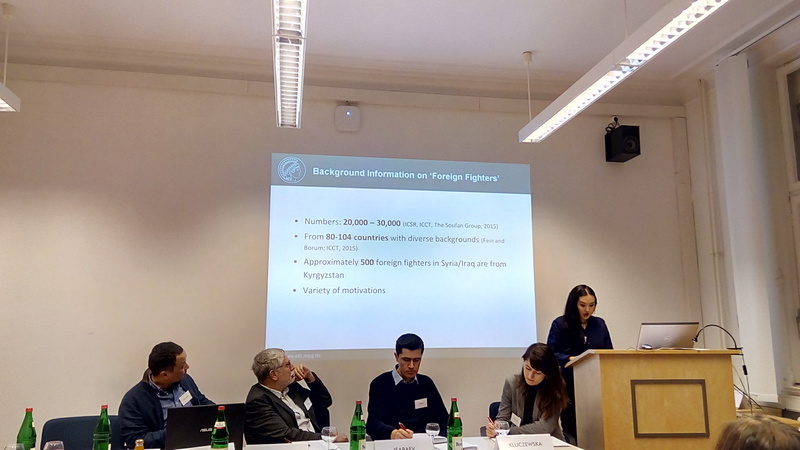 About public perceptions and discourses on foreign fighters from Kyrgyzstan combined with a lot of data were provided by Ms. Almakan Orozbekova, PhD candidate at the Max Planck Institute for Social Anthropology in Halle. Ms. Karolina Kluczewska, Marie Skłodowska-Curie Research Fellow at the University of St Andrews who is currently based in Tajikistan for field work, spoke about the role of international donors in Tajikistan and how they work with civil society and the authorities, indentifying radicalisation as the “sexiest” topic for research in the country.